The Psalms were composed for singing. 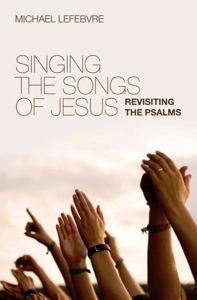 In Old and New Testament times, and throughout Church history, congregations sung Psalms. Despite renewed interest in Psalmody, few books explain how the Psalms function as hymns for Christ-centred worship. Singing the Songs of Jesus fills that gap without shying away from difficulties, like the doubts and curses of the Psalms. This study shows why the Psalms are suited for Christian praise and how to use them for powerful and relevant worship. About the Author: Michael LeFebvre is pastor of Christ Church Reformed Presbyterian Church in the western suburbs of Indianapolis. He previously studied Old Testament Law at PhD Level at Aberdeen University. He is married to Heather and they have four children.